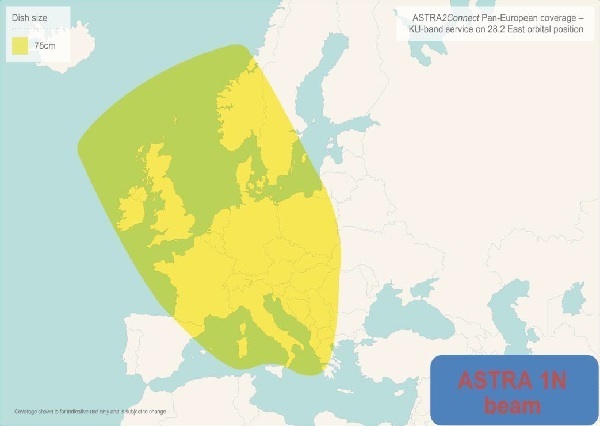 There are many superfast satellite connections promoted all over the internet, which is great if you want a fixed dish solution however, if you are looking for a mobile solution to work across a wide area, such as the UK, Germany or Western Europe as a whole, it is worth looking at the technical differences between the systems available. 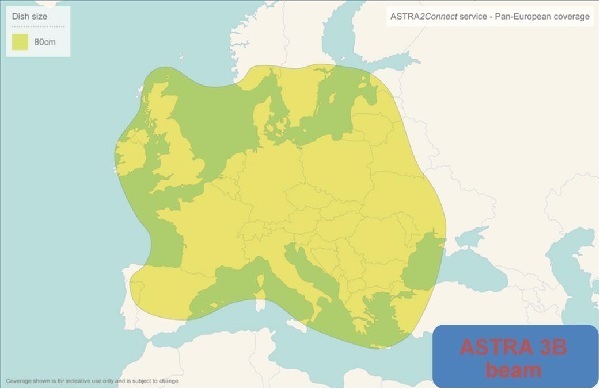 K u Band works on a single footprint which spans a wide area with the same hardware required for connectivity within that footprint – hence it is ideal for mobile systems, press a button, the satellite points and connects to the Internet anywhere within a large footprint, see the images with Astra 28.2 and Astra 23.5 footprints. Ka Band works using multiple spot beams which make up the overall published footprint, this is part of the reason why the throughput and speed can be made far higher than Ku Band; Especially on the upload speed. To prevent interference between each of the spot beams they use different settings, which means they require different modem and data package settings per spot beam. Our sutomatic Ka band systems will handle the client side modem settings autmatically, a change is also required at the ISP to transfer the data account to the new spot beam. This requires a phone call and an admin fee for each beam swap. Please see the lower image for an example of Ka Band spotbeams. Please contact the sales team at Conrad Anderson for more information or more detail on the specific solution to your requirement.